I’m not sharing this as a featured recipe necessarily because I think it’s such a spectacular recipe, but more a great meal idea. When Nate and I lived in Boston, we took a few roadtrips to Montréal. The first time we visited we ate at a crÃªpe restaurant. We had NO money then and this was our one restaurant meal, so that might be why I remember it so well. But it was also my first introduction to savory crÃªpes, and I was NOT disappointed. Dinner was delicious, then we had crÃªpes for dessert too. This visit inspired me to try crÃªpes for dinner and dessert at home. If you decide to venture into the world of crÃªpe-making, it’s worth the trip! 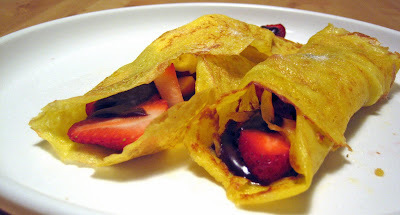 I make my savory crÃªpes, then add a little sugar to the batter then make some for dessert. Pretty easy and very tasty. As for fillings, the sky’s the limit! If I’m feeling especially decadent, I’ll use brie as the cheese in the savory crÃªpes. Savory tip: I cook my filling ingredients prior to making the crÃªpes; when I cook the crÃªpes, when I flip it over, I add the filling, fold the four sides in, then cook on both sides (make sense?). Don’t know if this the official way to do it, but works for me. As for dessert – I LOVE strawberries, chocolate sauce and ice cream, with sugar sprinkled on top. YUM. Cook as directed for crÃªpes (nonstick or seaesoned crÃªpe pan, medium heat, butter the pan, about 2 T of batter per crÃªpe, butter pan between each crÃªpe). The technique takes some practice – I would read up on it in a cookbook for some pointers if you’ve never done it. After putting all of your names in a cup, closing my eyes and reaching in…we have two winners! Congratulations, Lindsey and Stephanie – you will enjoy your Onera! (And I SWEAR Stephanie did NOT win because she gave me a gold star!) To the rest of you, here’s to more giveaways to come! 🙂 And as soon as I figure out if the Onera website is the same as the spice that I use, I will do a post to let you know. Thanks to all who entered and to everyone who visits the blog! Happy Memorial Day weekend! Hope you’re all having a great weekend with happy weather wherever you are. Here’s my menu for the week…don’t forget to post yours! – Happy Memorial Day! Going to friends for a cook-out – yea! Wanted to share a fun kitchen tip our friends shared with us recently…and since Friday night is often pizza night, thought it might come in handy for some of you! Our friends Valerie & Graton (who recently had their 2nd baby – congratultions, guys!) invited us over for delicious homemade pizza. 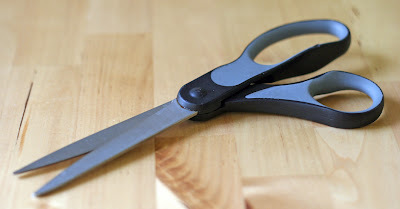 When the pizza came out of the oven, Graton walked over with a pair of scissors. “Scissors? You guys should totally get a pizza cutter!” says know-it-all Jane. Turns out they used to have a real pizza cutter but had since converted to scissors. And with good reason – they work like a charm! They are much more versatile and ALWAYS cut through. Such a great tip! Here is the story behind the chicken salad…Meier’s Meats in SLC, UT has the best chicken salad. My family would order it for parties, etc, etc. Well, one day my Aunt Barb found out the “secret” ingredient that made this chicken salad so good was sitting under our noses the whole time, right there on the butcher’s counter! 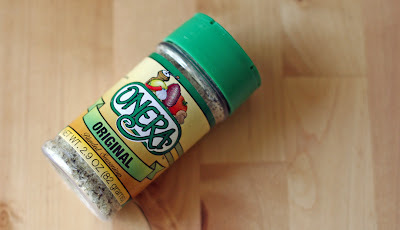 Onera Original Seasoning. The “secret” ingredient wasn’t so secret at all. Perfect in chicken salad but also as a seasoning on all kinds of stuff, including homemade french fries. 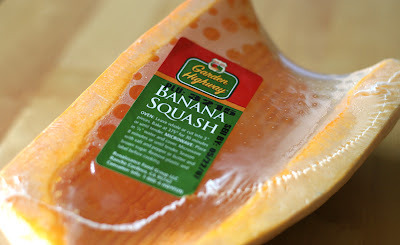 If you live in Utah, it’s easy to get – they sell it at “The Store” (of which there are a few locations). A woman at “The Store” said they also sell it at Harmon’s, Smith’s, etc. It’s located back by the butcher. If you are like most of us non-Utah people, you have to order it online. One of my awesome readers (thanks working gal!) found a website for Onera Blended Spices. Onera recently changed ownership, which is why the labels look different. All this talk of chicken salad in the comments this week really got me in the mood…and since chicken is A-OK with the ole prego belly, I made it! 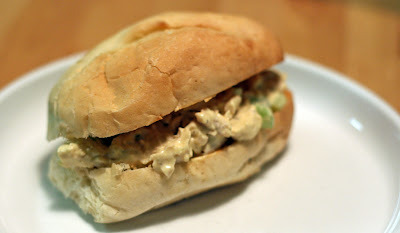 Thanks for the yummy sounding chicken salad recipes that were shared in the comments! I do have to tell you – I think I may have the BEST chicken salad recipe in the world. I know, that’s a pretty strong statement, eh? I posted the recipe on the Recipes-Main Dishes ages ago, but take a visit back and check it out. One reason I like it so much – the sauce isn’t sweet, but the grapes are – perfect balance. It really is just so yummy. The recipe DOES have a secret ingredient…I’ve only ever used that ingredient, and I think it may be why this chicken salad is SO DANG GOOD. 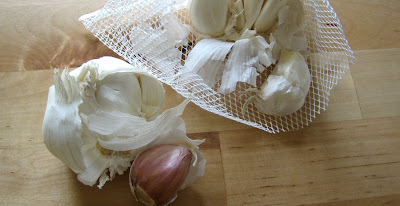 I will feature the secret ingredient tomorrow…maybe even a free giveaway?!?! Come back to see! Hello everyone! Hope all your meal planning is going well! I think I may actually be able to cook a few of my items on the menu this week – yippee! This medicine I’m on has been a lifesaver. The most annoying part of morning sickness is that you can never let yourself get hungry or you’ll get sick, but you absolutely don’t feel like eating ANYTHING. So all you do is think about food, which you would rather not do. So fun. My current quandary is lunch. Technically I’m not supposed to eat lunch meats (risk of listeria), tuna (high mercury) or peanut butter (I have a medium peanut allergy so not supposed to eat them when pregnant). Okay, so without those three options tell me, what am I supposed to have for lunch?!?! As if thinking of things to eat wasn’t hard enough. 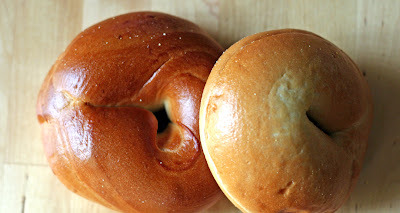 Bagels and cream cheese have been the lunch favorite lately, although I think I might get SICK of it soon. Not to mention I’m eating enough cream cheese to keep the cream cheese industry in business, which may be good for their pockets but probably not for my love handles. – Crepe night – for dinner and dessert! I cooked something! I really did and here’s a picture to prove it. Last night I made Chocolate Swirls (click here to see the recipe). 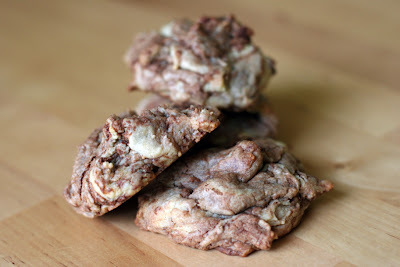 This is one of my FAVORITE cookie recipes…my friend Liz (who is visiting right now) also loves these cookies, so I made them for her. Aren’t I the bestest friend ever? I got the recipe at a Christmas cookie exchange years ago…I have no idea who brought the recipe or what book they copied it out of, but I am forever grateful! If you like chocolate and cream cheese, get yourself in the kitchen right away.